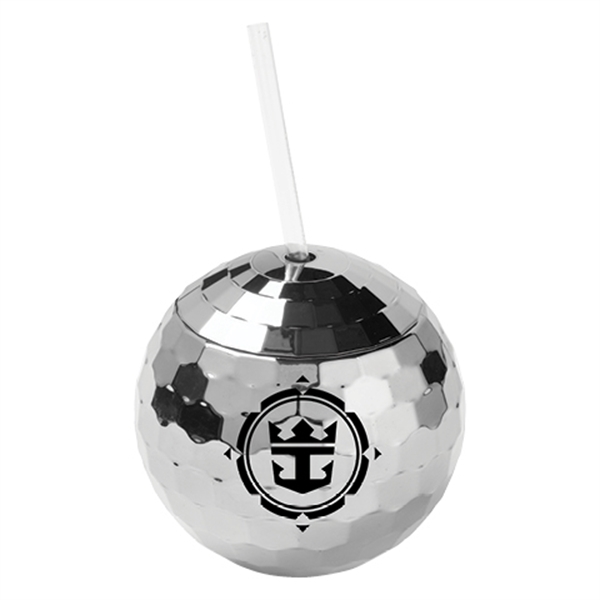 Have recipients dancing to your brand's tune when you advertise with this disco ball tumbler with straw! Measuring 4.5", this metallic silver-colored beverage holder is shaped like a disco ball and comes with a reusable straw. Add an imprint of your company's name, logo and marketing message to keep your brand pointed toward success. Make drinks a throwback to ensure your brand is one your clients remember with this nostalgic tumbler!